The manufacturing and construction industry are often compared to each other. However, one conspicuous difference between the two is that while the manufacturing industry mass produces the end product using one process flow, the construction industry delivers similar products in different physical settings. Even though similar construction projects have the same set of construction activities, unique physical settings pose many challenges to maintaining productivity. While building the Digital Arts Facility at the University of California Santa Cruz, the challenge for DPR Construction was to rapidly generate concrete formwork layout options adapting to the site and the building. Tekla provided the technology to create adaptive formwork components which could generate the formwork layout for different shapes and sizes of walls with varying details in different physical settings. 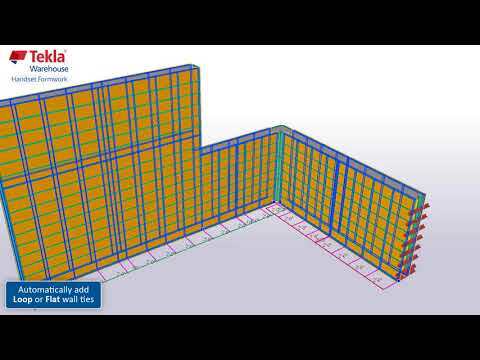 DPR created custom components (intelligent templates) in Tekla Structures that adjusted to shape and size of the wall and automatically generated a formwork layout. The ability to create parametric templates in Tekla Structures and its ability to handle extreme detailing made it the most suitable software solution to model to the snap-tie level of detail. 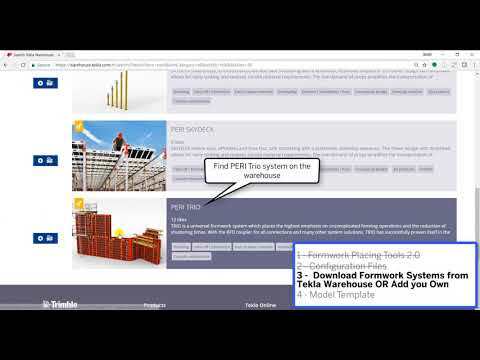 In the process of automating the formwork layout process, DPR discovered a powerful method for capturing formwork layout knowledge from experienced foremen and superintendents. Sample hand sketches of the formwork layout were the foundation for the Tekla Structures formwork components that were created. "Accurate quantities from the model helped in verification of estimated quantities and concrete pour optimization. One of the biggest time savers was 3D visualization of complicated areas instead of trying to visualize it from 2D plans. This ability saved on guesswork and rework." In addition, considerations for erecting the formwork in complex areas like the bottom of beams, around steel columns and wall openings, at wall transitions, were incorporated into each of the components. These components are now being used on other concrete projects in the company resulting in knowledge transfer and increased efficiency across projects; which has always been a challenge in the construction industry. 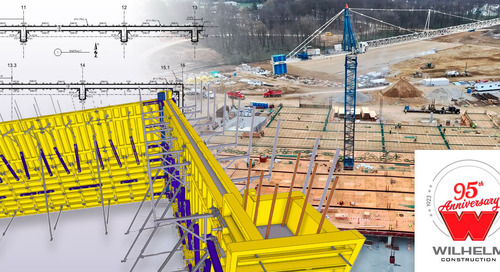 Like other BIM activities using Tekla Structures, formwork layout automation saved the field crew considerable time by eliminating the need to layout formwork for every wall in the building manually. The layout drawings were then given as handouts to the foreman to erect the formwork in the field. Formwork layout has traditionally been a 2D process, field situations are often overlooked, inadequately accounted for, resulting in stripping and redoing of the formwork. By generating the formwork in 3D, complex issues and project specific issues were easily identified and preempted at an early stage. As a result, there was no rework related to formwork erection on this project. 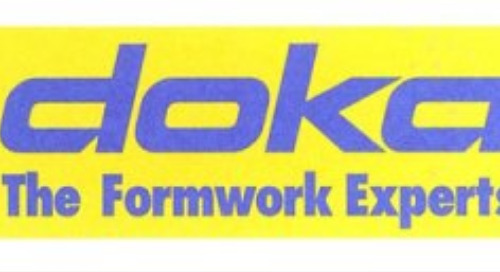 With Tekla formwork modeling we were able to rapidly try out various formwork options enabling us to choose the arrangement that worked best with regards to cost and constructibility. It also helped us reuse the same formwork material most efficiently in the next portion of our work. Furthermore, the Tekla Structures model helped the superintendent to manage material and pour size definition. The model was useful in identifying the panels that could be reused between pours resulting in cost savings. Formwork panels were prefabricated on site based on the Tekla Structures model. Quick generation of formwork arrangement helped the team run through multiple scenarios of how to arrange the panels so that minimum material and field cuts were required. For example, a vertical arrangement of 16’ high panel was better than a horizontal arrangement as it required fewer panels and in turn less material and labor. Savings in material and labor to construct and put into place formwork assemblies are estimated at $25,000. company, DPR has grown to more than $1.7 billion in volume, making it one of the largest general contractors in the US and a great story of entrepreneurial success. Founded in 1990 by Doug Woods, Peter Nosler and Ron Davidowski (The D, P and R), the company’s mission is to be one of the most admired companies by the year 2030. 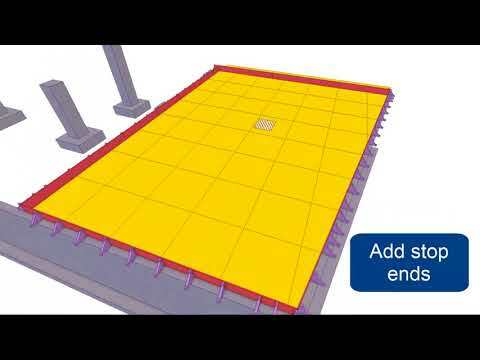 DOKA has published intelligent 3D components for popular wall and floor systems in Tekla Warehouse online content and application ecosystem for Trimble’s Tekla Structures.